South Korea has been invaded by red imported fire ants, and the country is asking for Texas A&M University’s help to stop the spread of the pest. Dr. David Ragsdale, Texas A&M entomology department head in College Station, said in an interview fire ants had previously spread to other parts of Asia but were new in South Korea. Fire ants are native to South America and have infested most of Texas, as well as other parts of the U.S.
Fire ants have been in Texas since the 1950s and cause harm to native wildlife, including deer fawns, horned lizards, quail and other ground-nesting birds. 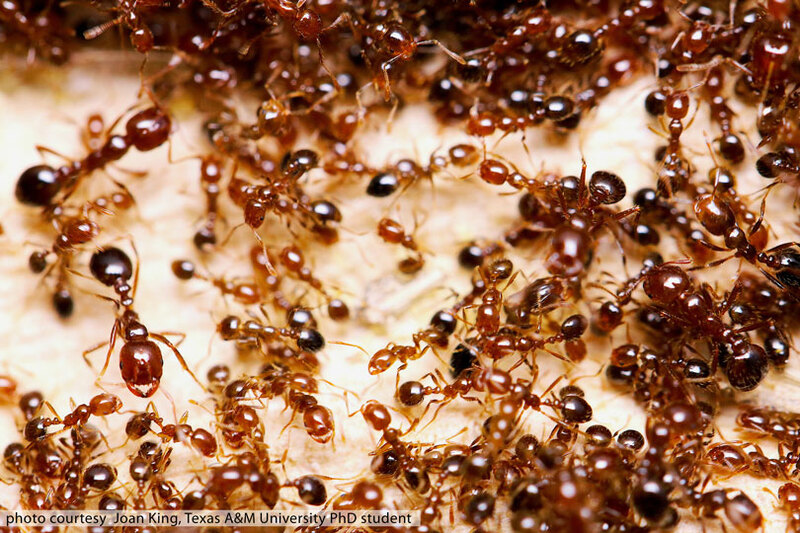 Texas A&M University associate professor of entomology Dr. Hojun Song was contacted by researchers at the Korean Animal and Plant Quarantine Agency shortly after the fire ants were discovered in the country. Entomologists at Texas A&M are considered world authorities in management and control of the pests, according to Ragsdale. The department expects Korean entomologists to visit in September to learn more about the pests and how to effectively control their spread. Ragsdale said the method of transport and cause of the subsequent invasion is shipping containers. Texas currently has shipping quarantines to help stop the spread of red imported fire ants. If fireants have been controlled at all in east Texas, I have yet to see any evidence of it. We fight them year round here in Sabine Co. this week, they’ve invaded my kitchen cabinet and sink. There’s not even anything for them to eat, they’re just swarming around. I’ve sprayed, they keep coming, it’s a mess. If our experts know how to control them, I wish they’d tell us. Easiest way to deal with fire ants is to let them fight amongst themselves. If you simply take a shovel full of aunts from one mound and place them atop a mound several yards away, they will kill each other off. No need for special chemicals required. Amazingly simple and efficient control technique.